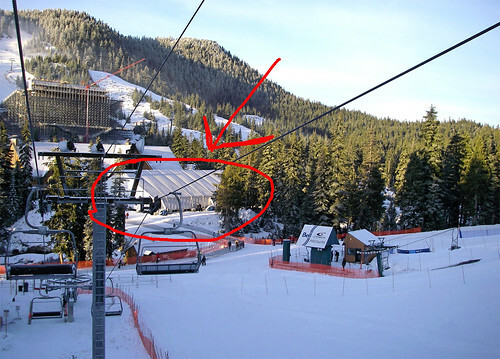 This huge temporary structure, in front of the Lodge at Cypress Mountain, just went up in the last few days. Apparently this is where the ski and snowboard teams will be tuning their equipment during the 2010 Winter Olympic Games. Every day there's something new popping up at the Cypress Mountian site.